Does your business compete in a local market? Improving your local SEO could help you drive more traffic to your website. Your website can rank for targeted local keywords directly; it’s not just your business listings. Imagine if your Yelp listing, Google listing, and your site all dominated the top positions for your target keywords. You would have an influx of steady traffic and visitors. Your leads, sales, and business would be busier and operate more efficiently. Here are six tips for improving local SEO so you can reach your audience on the search engines they use most: Google, Bing, Yahoo, and even lesser known search engines like DogPile and Ask.com. Improving local SEO is a universal practice that applies to all search engines, not just Google. Let’s get started. Your customers search for more than just your products and services. They use search engines to ask questions, investigate, and do research. Imagine not only ranking for buyer-ready keywords, like your products and services, but also ranking for question-based searches as well. The best way to do this is to create guides and tutorials, adding educational value to your website. Address the pain-points of your audience and give them worthy content that’s beneficial to their journey. The more effort you put into your content, the better the results will be. There is a reason that digital marketers often say that content is king. Quality content is one of the most natural ways to lead people to your website. NAP consistency refers to the consistency between your name, address, and phone number – in other words, your contact details. Search engines like Google use NAP consistency as a way to verify your credibility. If you have business listings on lots of websites with accurate NAP details, this shows search engines that you’re information is trusted. You should target all of the biggest business directories such as Yelp and Google but also try to get listed on lesser known directories. This helps you build a credible number of citations. You can use this business directory list to find more targets. Backlinks are one of the main factors to search engine rankings. The more links you have from high-quality websites, the better your search engine rankings will be. This is true for sites that compete for global keyword phrases and sites that compete in local SEO markets. Use this list of creative link building tactics to encourage yourself to think outside the box to acquire links. You can do things like guest posting, where you offer a blog in your industry and a written blog post in order to gain links and exposure for your business. The best way to appeal to your audience and get search engines to acknowledge your brand is to create. However, everyone has been creating blog posts and other types of written content for years now. More of the same can make it hard to compete. Instead, consider producing videos, designing infographics, or creating other types of visual and audio media. This helps you stand out and search engines love it. Chances are, your competitors for local SEO won’t be spending as much time on producing these assets, and you’ll have a competitive advantage by doing it. Social media marketing is essential to local SEO. If you’re active on your social media profiles, this shows search engines that you have a presence online and are a trusted business. You can use social media to share your articles as well; according to Podium, 99% of texts are opened, making it a more effective way to convert. Social sites are an excellent way to funnel visitors to your blog posts and other content, later converting them to your sales funnel.For example, Facebook features a suite of tools that help you narrow down your target audience to a hyper focus that is more likely to give you a better ROI. You can use a social scheduler to schedule content shares on your profiles. You know those old-fashioned word-of-mouth referrals? They continue to be a great way to build your business and get more customers. One of the best ways to acquire more referrals is to partner with relevant businesses in your industry. Reach out to other businesses and offer a percentage of commission for referrals. You can even offer to do the same for them. Just letting them know that the opportunity is there can often be all that it takes to get results. Improving local SEO takes consistency and hard work. 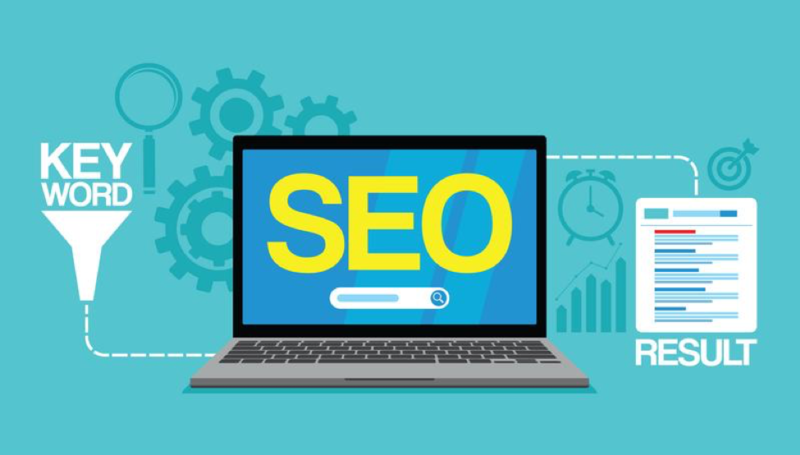 SEO is a long-term process, and because there’s an extensive amount of content creation, manual outreach contacting relevant sites in your industry, and other hard-earned strategies, it can take months and sometimes years to get quality results. However, these six tips for local SEO rank improvement should help you stay on track and focused.